Not feeling well is a good excuse for not posting, right? I’ve been feeling bad enough for the past week to not want to do anything except lay on the couch and sleep. Thankfully, since it’s summer, I can do that. And play video games. 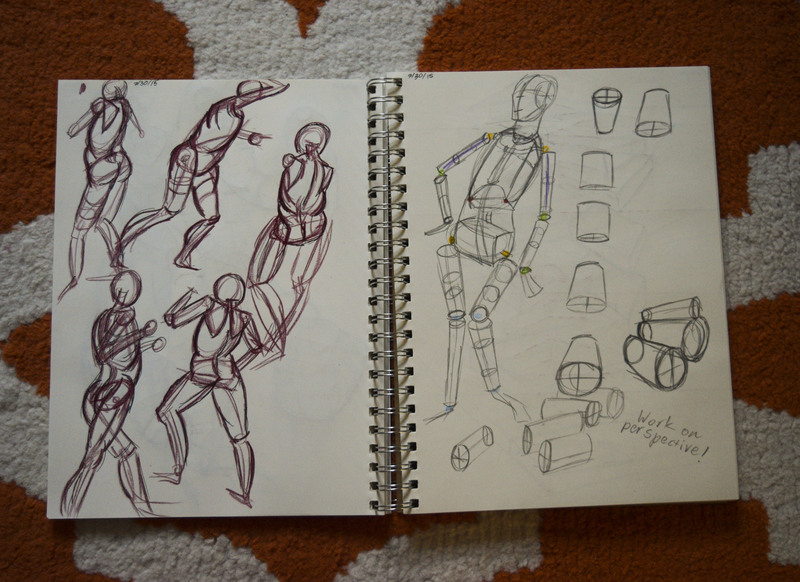 Anyway, since day 13 of the photo challenge is “Cannot Live Without” and I needed to get back to the Daily Doodle I photographed some gesture drawings I’ve been working on. I think getting back to basics – or learning the basics – is important when it comes to art, especially drawing since it’s the foundation for most visual artwork. 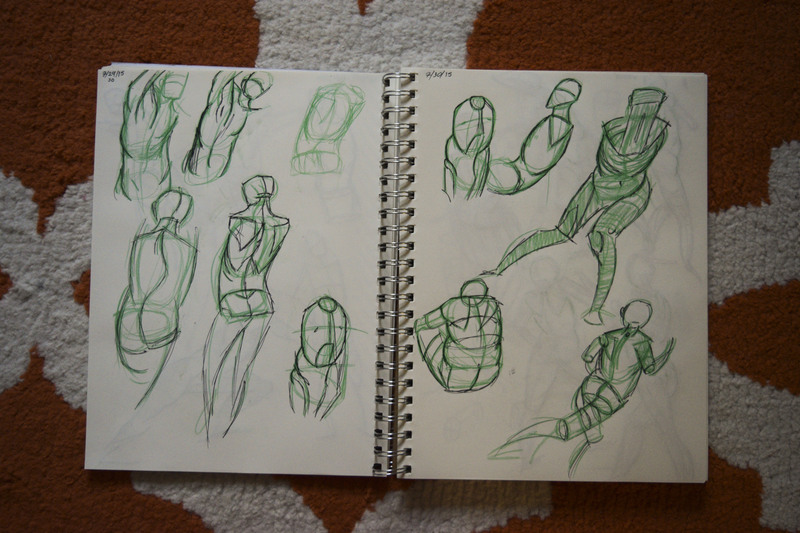 Thus, the basics of figure drawing/drawing in general is something I cannot live without. It’s important to not get so swept up in details or the latest trends that we forget to go back to the essence of a thing. You don’t need fancy paper or pencils to draw a beautiful image. Instead you simply need to understand the potential within the elements you possess and the importance of perseverance. Until next time!